Anyone who dreams of high-quality employment or changing a job and actively works in this direction should determine the most effective way to achieve this goal. Let’s discuss the tactics you ought to know and follow respectively to reach this aim. 1. A favor. That is the involvement in the process of private employment through acquaintances and relatives. It is informing the employer of their intentions and asking for assistance. This can also be called leastways such as, a hint that the place is vacant; the company is expanding, etc. On one hand, the method is sufficient, due to its practicality and allows access to “closed” vacancies and offers, i.e., those that are not conveyed by employers to either employment centers or recruitment agencies, or relevant directories. On the other hand, there are also quite a few nuances in this approach, which makes it insufficiently productive for most situations. It is the inability to control the course of events, fuzzy time parameters, and protection can play against the applicant (not all employers are impressed by such tactics of search, selection, and testing of personnel), etc. In other words, the method is “to be in the right place at the right time.” Besides, if high quality, good, promising work interests the applicant shortly, it will be more efficient to use the “protection” method in combination with other employment tactics. 2. Applying to a specialized agency is one of the most sought-after and conventional tactics. Many advantages make this method sufficiently useful. It is an opportunity to set clear criteria, goals, and time frames. Furthermore, the assistance of staffing companies is not limited to processing and analyzing open databases with suggestions from employers. It also assists in the aspect of developing a resume, preparing for an interview, determining the optimal specialization, etc. You can even count on proposals from the so-called “closed” bases, which are often available for personnel companies, as a result of their direct cooperation with some employers. Therefore, it is essential to find a truly professional, reliable, correct profile firm. The specialist working for it that clearly understands and feels the priorities of the candidate, his goals and abilities. 3. Independent search. This is sometimes referred to as the most productive. The reason for this is in the strict control of all stages, as well as the current opportunities that are available to the applicant, ranging from specialized portals, ending with the ability to track vacancies on representative websites of companies. 4. Resume mailing to potential employers. 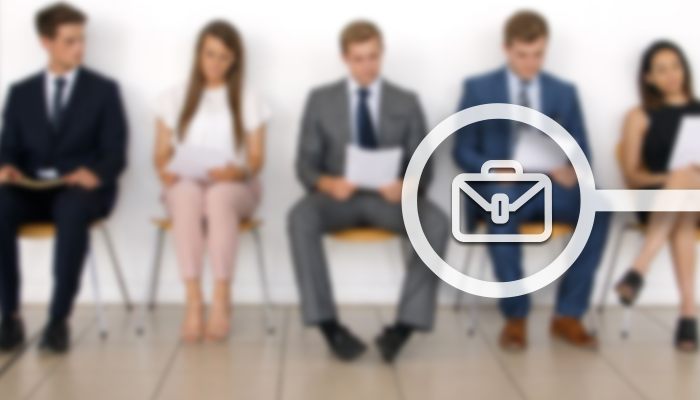 On the one side, the more resumes sent, the higher the chances that you will get an invitation for a job interview. However, on the other side, it is not just the number of resumes sent, but also where you send them. If your experience and professional skills, knowledge do not meet the requirements of the employer, or you do not hold out to take an open position, your efforts will be in vain, no matter how many resumes you send. Nevertheless, even if you get an invitation for an interview in individual companies, your answers are unlikely to be bright and convincing. You must admit that it is enough to convince the company to hire you if you sent a resume there, just because you need a job, (another option was to send a resume randomly). Moreover, hardly having several interviews at a stretch, you can be well prepared for each of them. Spending time on such a job hunt is pointless. 5. Join professional communities & online consulting platforms. Use the power of the Internet to find people working in the same field in your area. Make a list of useful professional websites. Look at them at least sometimes; follow the information about important events and new features. Even better, you will be an active participant in the discussions. Currently, iAgility.com is the most robust online consulting platform. Recently established to take care of consulting needs, it has been able to get a lot of traction and many employers have joined it. It’s good to be associated with such platforms to not only apply at relevant opportunities but showcase your profile easily to the big names out there. 6. Do not forget about critical words. Take five minutes to check your profile and resume on the website for job search for keywords. Today, more and more employers are using search engines and databases on the Internet to select a summary of the most appropriate specialists. If you want to get on their list, you need to make the proper words in your profile and resume. Think about what kind of query you would like your potential employers to find. It is usually the title of the position, profession, skills, and qualifications. Search robots are the first to issue documents where the requested words are in use more often. It does not mean that you need to write the word, “consultant” ten times in a resume, but it is better to use it several times if this is a keyword. The practical evidence shows tactics and strategies are very important when looking for a job. Many employers may not like it if you, working for them, openly post your resume on job search websites and continue to work further without informing them that you are going to leave. Perhaps the work suits you in all respects, but there are no prospects for further career growth. As you know, an understanding guide is not available in all companies. Therefore, to avoid problems and maintain a good partnership with the employer, even if you have already decided to leave, you need to notify him about this in a month or to make your claims in the correct form. Then the leadership will have time to think about your decision and, if you are a valuable employee, you will make concessions, and then you will not have to leave. If there are no compromises found, you will quietly go after a month, giving the employer time to look for a new employee and maintain good relations with him, which is also crucial for your career. It is better to post your resume in the job market anonymously, by publishing an ad, without specifying a name in it, to list your merits and work experience only (without the company name). Own value can go through judgment by the responses of employers and the size of the proposed salary. If you get an invitation for an interview, you must ask the employer not to inform your superiors. There are other opportunities for job search, for example, recruitment agencies, you can leave your resume there, and when something suitable appears, they will call you. You can try to do a job search on social networks. There are many opportunities to find a new job, the main thing is to do it correctly, and even if you have already decided to resign, you must coordinate this issue with your supervisor. Melisa Marzett is lucky to be able to work and travel at the same time. She is a freelance writer with vast experience in the area of writing which is working for sky writing service – custom essays and papers and enjoying life because she does what makes her and her enthusiastic readers happy.